"This is a broad and authoritative book, which puts together philosophy, politics, economy and technology. Much more than a loose collection of articles, the book expresses a coherent point of view: cosmopolitan in outlook but attentive to local differences and specific cultural practices. Held and Moore have produced a benchmark book in the analysis of cultural politics." 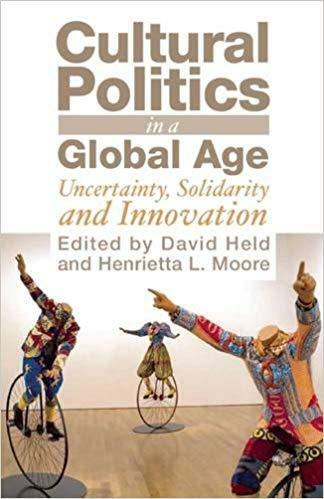 With contributions from Homi Bhabha, Kwame Anthony Appiah, Will Hutton, Jurgen Habermas and Amartya Sen, among others, this dazzling compendium of some of the world’s most prominent and diverse thinkers examines the question, ‘What is the future of culture in the age of globalization?’ These essays in this volume represent a major theoretical and methodological challenge to the social sciences, and question the nature of globalization and the culture of change.